You probably wouldn’t want your child heading off to kindergarten and still struggling to learn how to read. Though kindergarten will teach your child basic phonetics, you can give your child a head start so that he has a better chance of doing well in all his years in school including his first year. One of the best ways to start is to let your 5-year-old child learn that all of the letters of the alphabet make a specific sound. Here’s a daily exercise you can do with your child till he learns it well. As he says the letters out loud, you can make the sound of the letter. Then you can reverse roles, have your child say the sound of each letter as you say the letter out loud. You can use games, books and interactive electronic toys to reinforce the phonics that she’s learning. Books are a staple when teaching a child to read and it helps when she has plenty to choose from. Pick books for her that she won’t struggle with, but be careful not to pick ones that are too easy. Let your child go online with you and find a selection of eBooks that you can download to an e-reader for her to read. Personally, I haven’t tried using an e-reader with my son but I know it’s growing in popularity and gaining many readers. Kids can get distracted when they see a lot of words on a page, it can be easy for your child to get lost on the page. Have your child start out his reading by keeping his finger below the word that he’s sounding out. As he picks up the words and gains fluency, he’ll be able to skim his finger along and then progress to not needing it as a placeholder at all. Teach your child all the sight words that he needs to know. You can do this through repetition and memorization. If you’ll like a step-by-step system to teach your 5 year old to read, check out the Children Learning Reading program. It’s the same program I’ve used to teach my son to read when he was a toddler. Read out loud to your child regularly. The reason that this is important is because when a child is first learning how to read, she won’t get it that ending punctuation means to pause. She won’t know that she’s supposed to break between sentences so she’ll read all the sentences together in a long run-on. 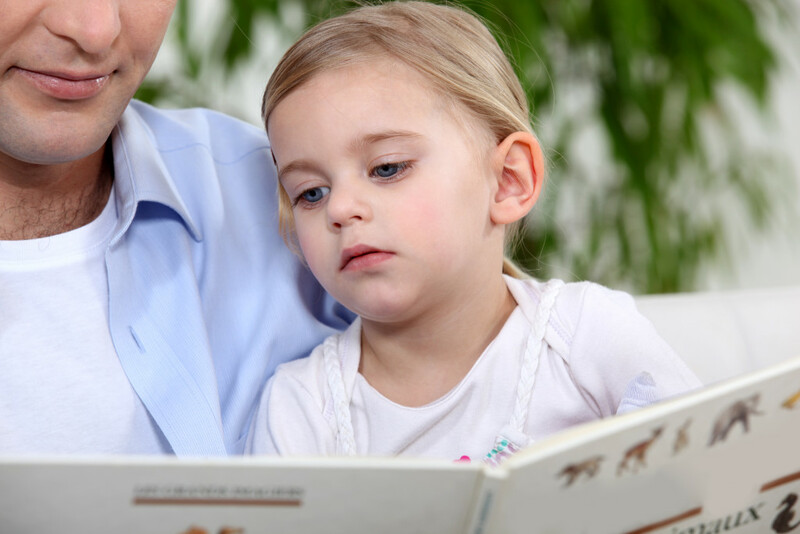 By frequently reading to her, you are also teaching her how to read with inflection so that the story sounds more alive. Another reason to read aloud to your child is so she will understand how a word is supposed to sound when she hears you reading to her. And if she has been mispronouncing certain words, this will help her to say it the right way. With regular reading sessions together with your child, she’ll also learn how to read much more smoothly with less stops in between words. Every chance that you get, you want to reiterate what she has been learning. If you start when she’s ready, your child will pick up reading easily and be ready by the time school begins. All these take practice but over time, your child will gain confidence in reading. For your 5-year-old, what’s the best way for your child to learn to read? Share your best tip or strategy with me here, so other parents can learn from you too!